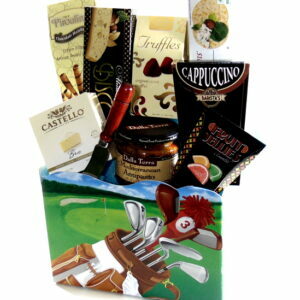 Stuffed animal gift basket will put a smile on a child face. 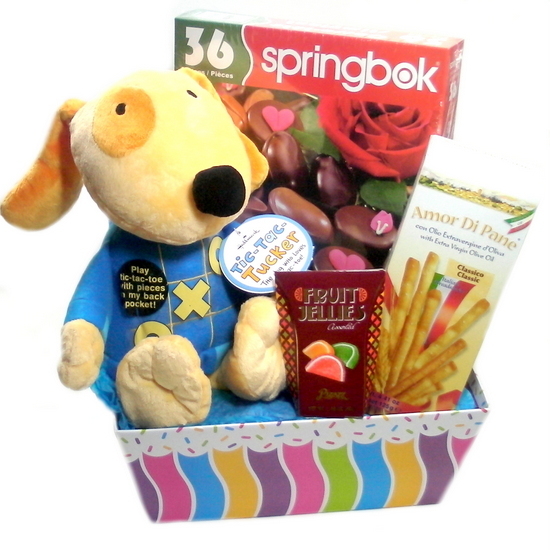 Surprise a child in the hospital or at home with this get well gift box.The little boy will be busy playing with the dog stuffed animal and the puzzle. Stuffed animal gift basket contains: Sprinkles and striped open box. Tic-Tac-Toe Tucker Hallmark dog stuffed animal. Springbok chocolate 36 piece puzzle. Fruit jelly candies and Sesame bread sticks.